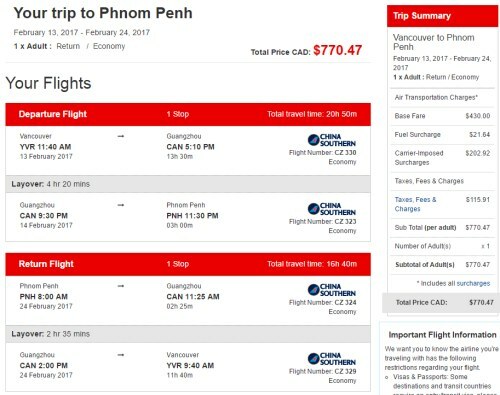 China Southern has dropped the price of their late January and February 1-stop flights from Vancouver to Phnom Penh, Cambodia down to $770 CAD roundtrip including taxes. You can bring this price down even further, to $670 CAD roundtrip including taxes, using the current Flight Centre promotion. This ends up being 35% below the typical bottom roundtrip price from Vancouver to Cambodia. These flights are pretty close to as fast as Vancouver - Cambodia can be done. 1. Flight Centre is offering a promotion for $100 off of all international flights from Vancouver, provided that the flight is a minimum of $750 CAD roundtrip. 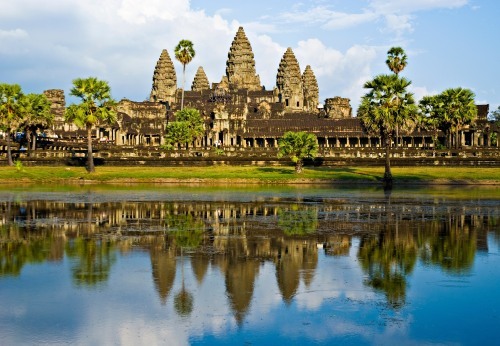 You should see flights from Vancouver to Cambodia for around $770 CAD roundtrip including taxes.